Hon’ble President of India, Shri Ram Nath Kovind, will preside as the Chief Guest over the National Energy Conservation Day celebrations, to be held in New Delhi, on 14th December, 2017. The occasion will also be graced by the presence of Union Minister of State (IC) for Power and New & Renewable Energy, Shri Raj Kumar Singh. 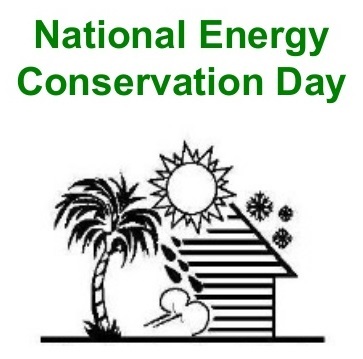 To drive mass awareness about the importance of energy efficiency and conservation, Bureau of Energy Efficiency (BEE), under Ministry of Power, celebrates the National Energy Conservation Day, on 14th December, every year. As part of its awareness outreach, BEE recognizes and encourages endeavours of industries in reducing energy consumption by felicitating them with National Energy Conservation Awards. BEE also awards prizes to the national winners of the annual National Painting Competition on Energy Conservation. This year, over 1.22 crore children participated in the National Painting Competition and 322 industrial units and establishments from key sectors participated in the National Energy Conservation Awards 2017. Hon’ble President of India will give away National Energy Conservation Awards and National Painting Competition Prizes this year. Shri Kovind will also visit the exhibition of the Prize -winning Paintings. During the event, a short film on the Energy Efficiency achievements in the Industry Sector will also be shown.